My mom’s birthday is today. I rented a zipcar to take her a restaurant not accessible by the T. As I was driving, a thought popped in my mind. Although I don’t have children right now, I know I want to be able to tell them some day that their mom confronted her fears and followed her dreams. I want them to be proud of me for being the type of person I hope to raise them to be one day. Happy birthday mom! You’re the best mom and example of humility, grace, and perseverance. 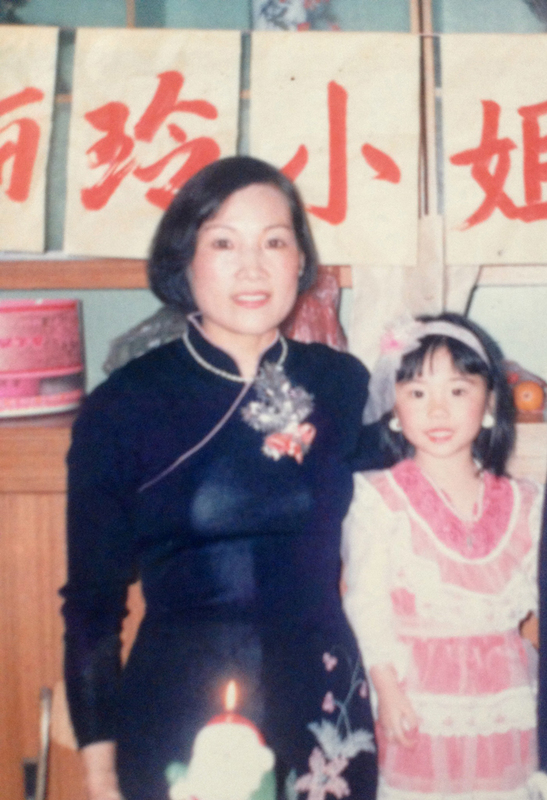 My mom and I on her birthday back in the day when we were in China. Oh, and you’re not seeing things. That is a Santa Claus candle in the pic! Who wants a boring birthday candle? Back then, people used Christmas paraphernalia all year round. If it was American, then it was cool.